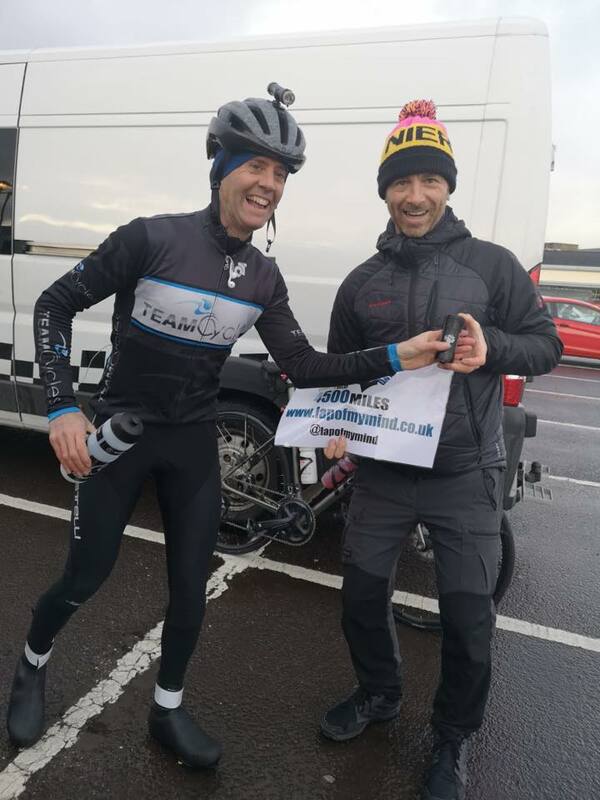 Last weekend I rode 450 miles from Glasgow to Shieldaig in the north west highlands of Scotland, as part of a fund raising road bike lap of the UK; Lap of my Mind, a ten person relay, to be completed in 20 days. I had a window of 48 hours to complete my stint and, right on queue, the Scottish weather struck with a deep and aggressive low pressure system that brought winds of 50mph+ and freezing torrential rain… This presented many challenges, including staying fuelled! From my start at Greenock, a mix of road and cycle path took me north east up Gare Loch and I left the busy traffic behind. Down past Ross Neath and round the peninsula. By now I was throughly saturated and needed to change gloves frequently. This set the tone for a very wild and long night, mostly on the Kintyre peninsula, during which eating anything was very challenging, what with thick winter gloves on, and a wind so strong I dared not take my hands of my handlebars! For many hours I fuelled myself on Mountain Fuel Jellies and Xtreme Energy Fuel. I also topped up on calories and warmth with the occasional bowl of noodles with chopped up chicken breast thrown in, served by my excellent support crew. I had covered 200 miles in 16 hours by 4pm. This was way below my original schedule. It took a massive effort just to keep moving at any speed in these conditions, and trying to force the pace would risk exhaustion. I was cold, fatigued, and also aware that my hard working support crew would also appreciate a break! So imagine my delight when Robert, who had joined me on the road during the night, told me he ‘just lived round the corner’! Robert lived in Glenbarr, a small village which faced the brunt of the storm. We were well looked after! A conveyor belt of hot buttered toast churned out the kitchen, and feeling returned to limbs. I also downed a sachet Mountain Fuel Night Fuel before I crawled into my sleeping bag. At 7:30 Robert woke me up with coffee, porridge, and fruit. Just magic! We were all refreshed and after a 4hr pit stop, I continued with a lovely stretch of coastal riding, as well as a side to tailwind! Around mid day, I stopped at a cafe and ate a huge pile of scrambled egg on toast, washed down with a latte! Ace! The section up to Oban passed smoothly but the weather kept interjecting. 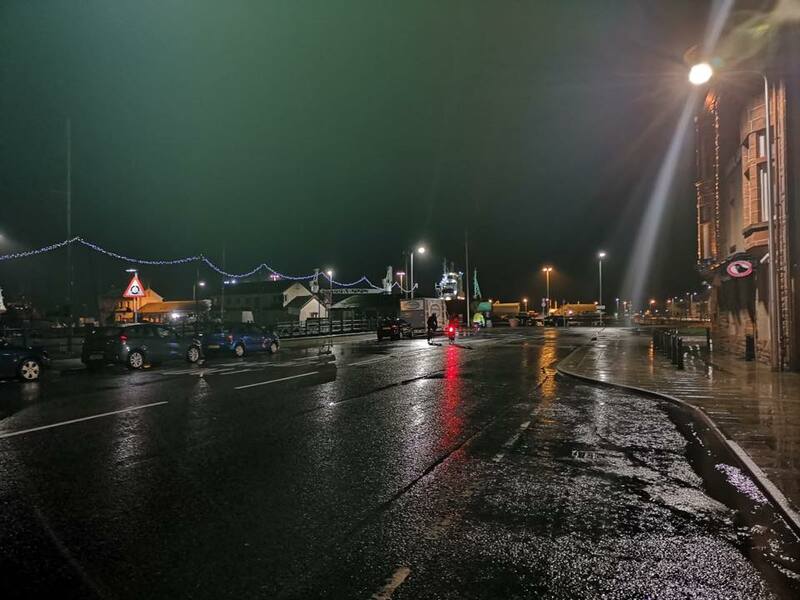 The forecast had been for clearing skies but heavy rain showers continued to chill and necessitated clothing changes. 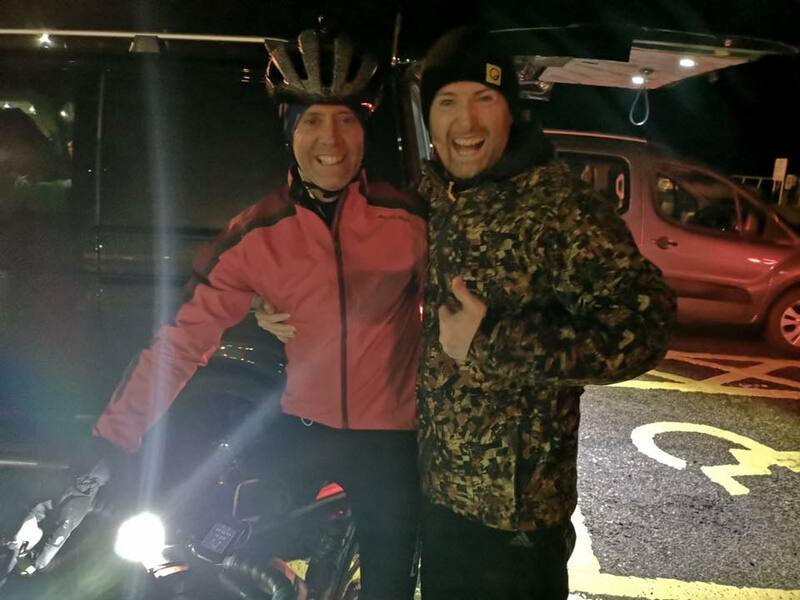 Next target Fort William and the uplifting ‘Just 100 miles to go’ point! There I was met by friends bearing a 12” Margherita pizza! This barely touched the sides! The combination of warming high calorie ‘real’ food worked perfectly with my Mountain Fuel Products and throughout the whole ride, I never felt calorie deficient, and bonking was never a threat. The end was sort of in sight. Climbing north west now from Invergarry and perhaps my only real low point. The huge climb is exposed and bleak. The rain came down again and the 5 mile descent was shallow angled and long. It was grim. I jumped in the van at the bottom and had a complete change of clothes. I pushed on over to Loch Carron. 30 miles to go! Slightly impatiently I lifted the pace but it felt good. The wind was now generally kind and even some 15% climbs didn’t dampen my enthusiasm to push through as quickly as I could to get it done. One final drag into a pesky headwind and I finally descended to a deserted Shieldaig. I felt great. What a massive adventure! The whole team had achieved something that seemed almost impossible when we stared out across a storm battered Clyde on Friday lunch time. Overall vertical climbing – 7,714m elevation gain (considered bolting on the Bealach na ba but ran out of time). 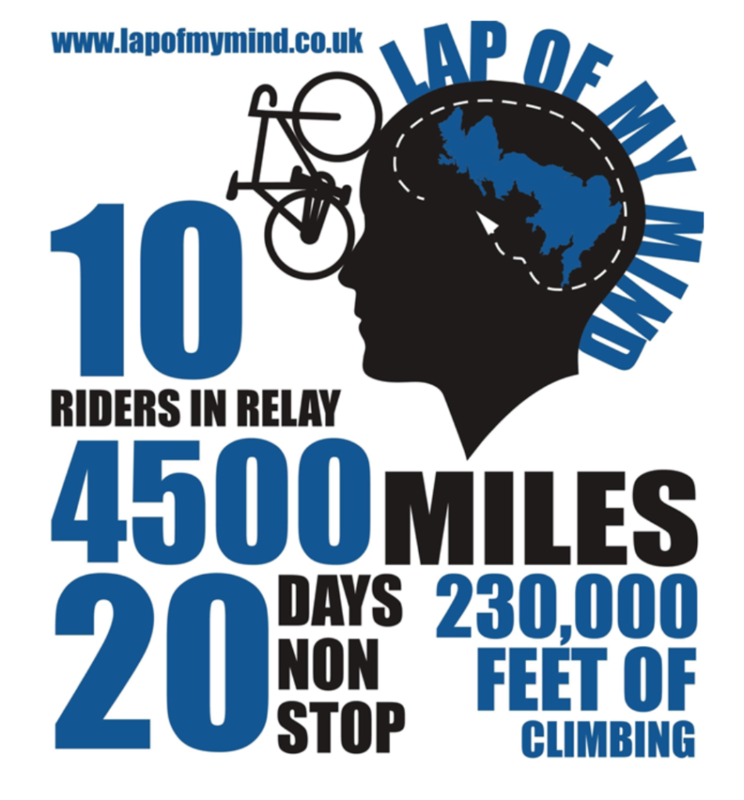 The ride is part of a relay and is raising money for MIND, donatations are gratefully received.